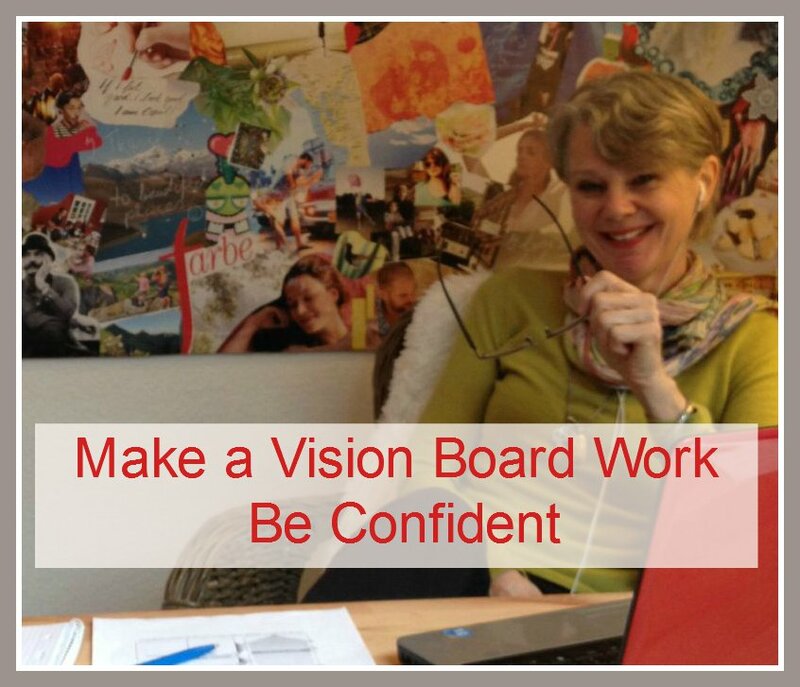 Hi my friends… Sometimes people tell me that they made a vision board, but nothing manifested….Frustrating, I get it…. sometimes it happens to people who do not have a lot of confidence. But the good news is that you can practice to believe in yourself. Life can be great, life can be miserable and it’s up to you what you how you want to experience it. Now this is a tough statement, especially if you went through a lot of suffering in your life. But on the other hand it’s extremely powerful and a great way to transform and create a great life. It’s worth considering the concept! Affirmations and power patterns are used in coaching and they are great, simple tools. You just repeat the same short sentence over and over again, like a mantra. You do this every day for at least 5 minutes, and also as a remedy when your limited thinking comes up. Like… you know what: The little voice in your head that tells you all the bad things that can happen, that you can fail if you try, that you can’t do it any way, good things happen to other people and so on…That’s when you use the affirmation or the power pattern. I have many and I use them all, they work! This might sound too good to be true, but it is a simple exercise, that will help you to transform your inner critic to your best cheerleader. Just try it! It’s like a brainwash. One other simple exercise is to not engage in negative thinking. This technique requires some mindfulness and presence, but if you are aware of the thoughts coming up, you can chose to not engage in them. Just let them go. To manifest your vision, you have to belief that you are worth it to achieve your life aspirations. You want to look at the vision board as much as possible and feel the images on the board as your truth. You see it, you experience it, you vibrate it, you will draw it into your life. Indeed you will! Feeling happy, successful, with a wonderful partner, a great career, a great team, wonderful friends and family relations. Driving the new car, on route to your dream destination. Dream big, go for the stars! If you think you need more help: I use a powerful coaching method called “Inner Freedom,” to help people move through resistance and fear. Also, John Kehoe has a wonderful program called mindpower, it is very simple with easy step by step exercises. It is a truly life changing program. But first just try the exercises…..Let me know if they work for you and if you have other tips, please share them in a comment.